Watching 25,000 people at a football match in Wellington on Sunday was a great reminder of how strong word of mouth marketing really is! When people get a great experience and tell others the snowball effect is massive. Its entirely possible that the stadium in Wellington could be full come Sunday week if the talk on the street is an indicator…which I think it is. People are buzzing and talking it up. This word of mouth plus a bit of social media, facebook and twitter commentry is the best marketing of all. 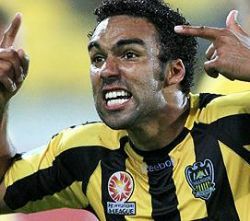 Get to “The Nix” v Newcastle semi-final its the best show in town at the moment! Tight market and a scarcity of new business opportunity has driven some industry players to compete on price as their lead strategy. I’ve always thought that competing on price alone was a dangerous game but maybe I’m wrong. I accept some movement is at times required but recently I’ve been made aware of competitors doing business at 30% of our normal industry terms. 1. Can I retain my best people if I can’t pay them well because my fees are so light? 2. Am I respecting the professional competence of my people? 3. Can I go back to my clients and double or triple my fees once the market improves? 4. Will someone always be prepared to go cheaper and if so what is the bottom? 5. Can I actually do the right thing by my client if it’s not sustainable in terms of profitability? 6. If my only value is price then where does it stop and how sustainable is my business? Perhaps I’m ignoring an extrodinarily challenging market but I would much rather push up the value chain with increased service whilst accepting less volume than playing in a pricing war. It will be interesting to observe where these price players go from here? It’s tough out there so what way should we look? I suggest we look backwards and fast. 1. Looking to far ahead could suggest we believe economic commentators and base our business decisions on what they may be saying. I don’t think they actually know! They may fool us into forgetting about our bottom line and the performance of our people. 2. Keeping our head down will certainly lead to doom as at the very least we need to be out and about having discussions. Raising our external focus will help us to make our own judgement calls. 3. So I suggest look backwards and fast! What I mean is that to get through this next period we must revert to the basics. Re-commit to being very good at what we do. This means investment in training, coaching the right people but not being afraid of removing either negative influences or people simply in the wrong job. As my industry is recruitment I get no satisfaction from the stories of redundancies and close downs. I do however understand it and believe we should have seen it coming. The last 6 years or so have seen people succeed in recruitment without well rounded consulting skills and these times are difficult for those not well versed in the basics. Our people need to able able to build relationships, gain trust, manage expectations, unearth opportunities, deliver, manage their time and keep a balance in their lives. NOT an easy thing! However it is this range of skills that were required 20 years ago when our industry went through another challenge period. We will get through but we must be GREAT at what we do other our relevance to clients and candidates will be marginalised. I spent a day listening to Tom Peters last week. Articulate, pragmatic and passionate! However the most interesting thing for me is that the so called “Uber Guru” of management consultants delivers a very simple message. To say he is people centric is a gross understatement. Listen, Talk, Act with kindness, Put your team ahead of your customers, Take care of the little things, become OBSESSED with hiring the right people, say thankyou and keep trying things. That’s the strategy for these tough times. For me I love that! Forget high level strategic retoric and focus on the pragmatic little things that are so important to our people. These are the things that will have our people engaged and doing the best they can. I’ve devoured his book Re-Imagine and many of themes within his book were picked up in his presentation. I didn’t get the WOW factor from the day but I did get a stark reminder of how important the basics he refers to are. I’m getting my team to read his blogs, look at his presentation notes and act on these key messages because I believe he is right!